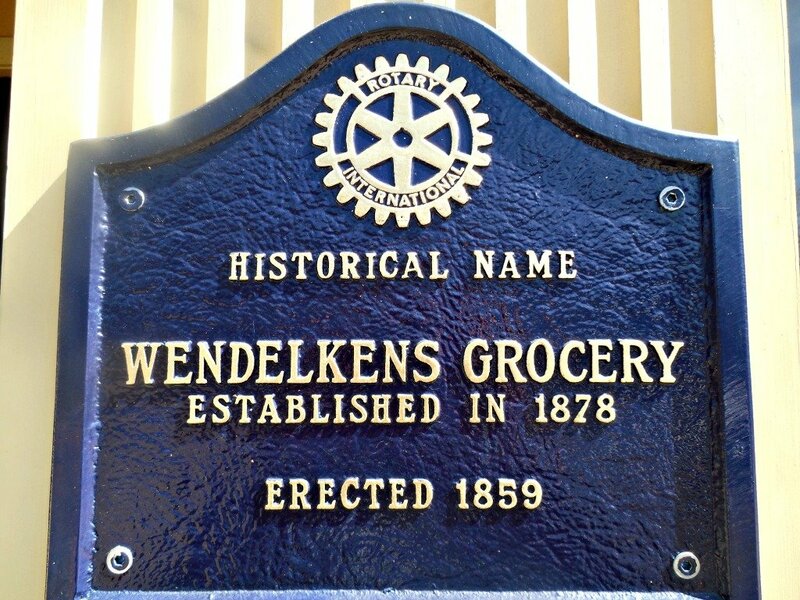 Disclosure: I received tours of these places as part of a press trip to Marietta, Ohio. All opinions are honest, my own, and may differ from yours. If you’ve been following along with my Marietta, Ohio trip posts, you know I got to visit a lot of cool, historical places. These two fit that bill as well. I loved acting in college, and I dreamed of being an actress or a producer. Oh well, I got a couple of great kids instead. This theater made me remember those dreams. It was so beautiful and fun to hear the stories of the theatre’s past. This is the view from the stage. 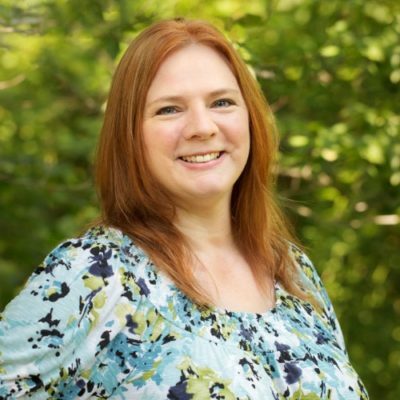 I took my mark and began my soliloquy…okay, not really, but I wanted to. This theatre underwent a huge renovation just a couple of years ago, and it is gorgeous. 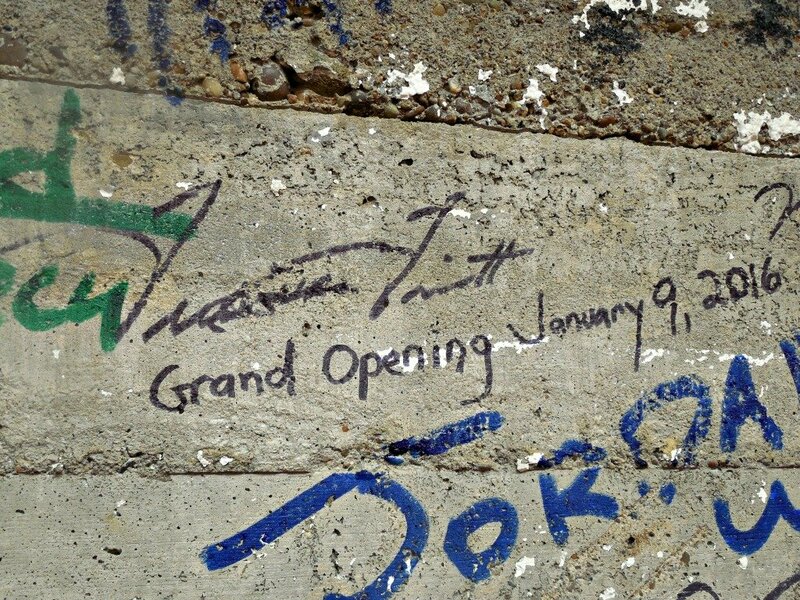 The theatre was built in 1911 and was originally a vaudeville house. There wasn’t a big movie market back in those days….okay not at all. Later when silent movies were made, the theatre began showing them as well. You can read the full history of the Peoples Bank Theatre on their website. If you are a movie and theatre lover, you need to read it. It’s really fascinating. 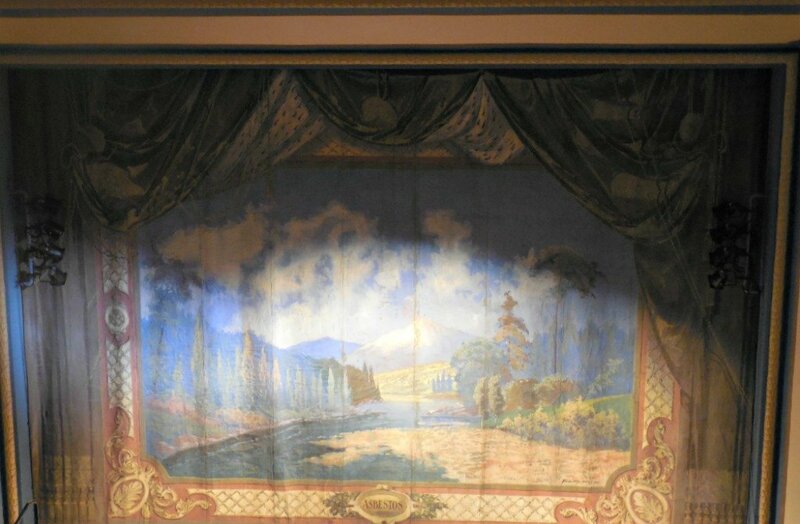 The stage curtain is original to the theatre…I believe. It is very old and amazingly well-preserved for its age. I hope I look that good when I’m over 100 years old. 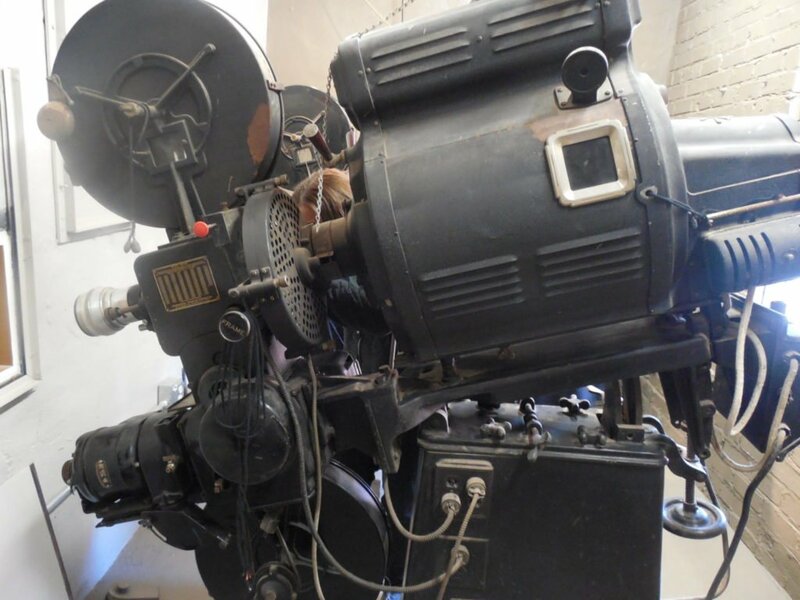 This is one of the original film projectors. I loved seeing it and seeing the little door where the guy who would be running the projector could sneak out of to go to the bathroom! Back in those days, he had to be running constantly back and forth between two projectors and he had to be ready to change the reels and make sure they didn’t melt either! 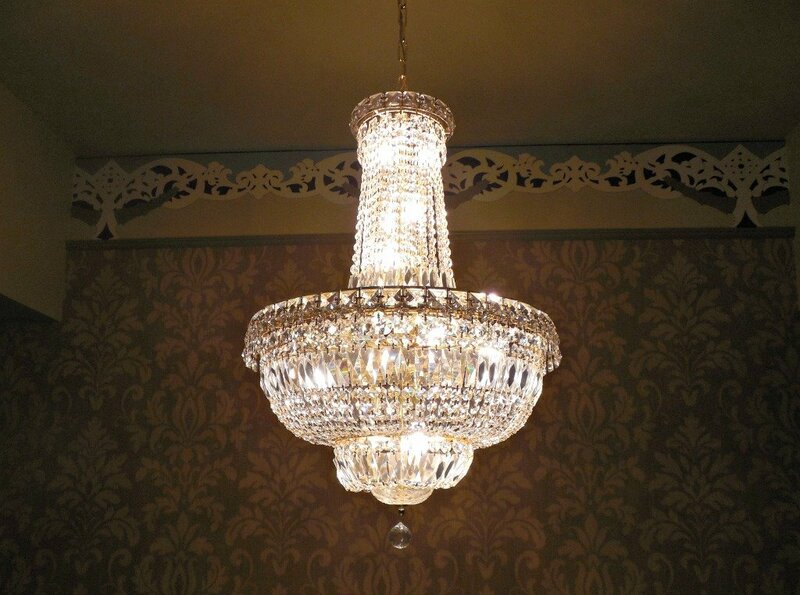 Isn’t this chandelier gorgeous? When I move to a castle, this is the type of chandelier I want. I’ll have to hire someone to dust for me though. 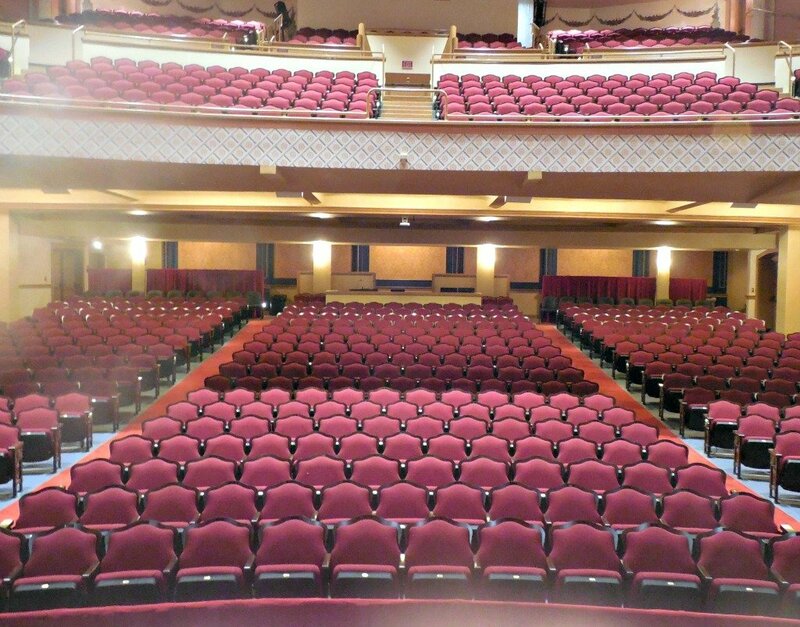 Now, Peoples Bank Theatre is more than just plays and movies. They hold so many events there! I am jealous that we don’t have this much action at our local theatre. Some of the performers they’ve had include Travis Tritt, Sandi Patty and Kathy Mattea. 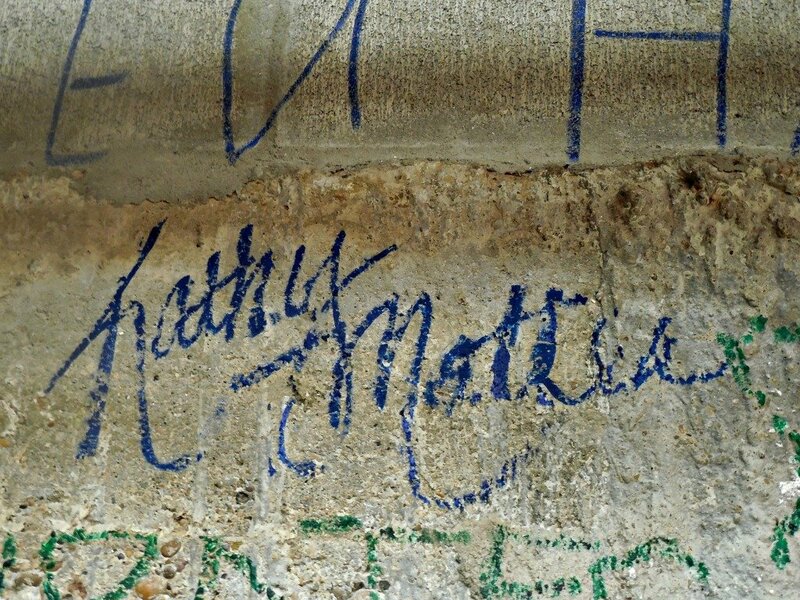 One of the things performers have done through the ages is autograph the walls of the dressing rooms. Check these out! We had a quick stop at this museum because we were pressed for time. Like I said, there is so much to do in Marietta, you just want to squeeze in as much as possible! The next time I head to Marietta, I’ll be sure to peruse the collection for a longer time. 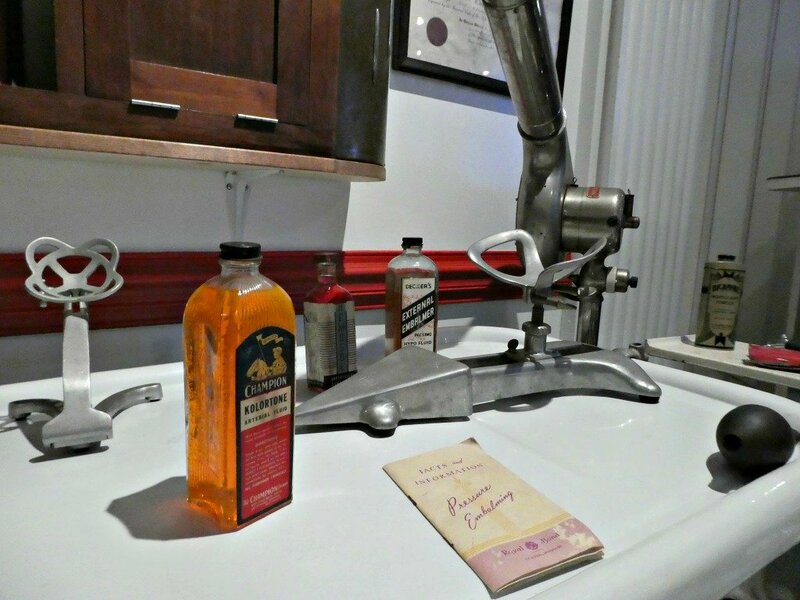 They change exhibits frequently, so you will always be able to find something interesting to see here. 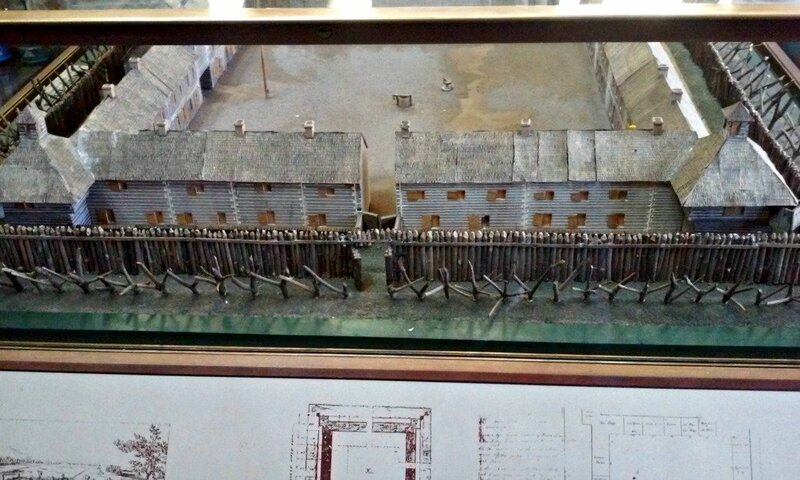 One of the very cool things on display is one of the largest artifacts at the museum: The Rufus Putnam House. 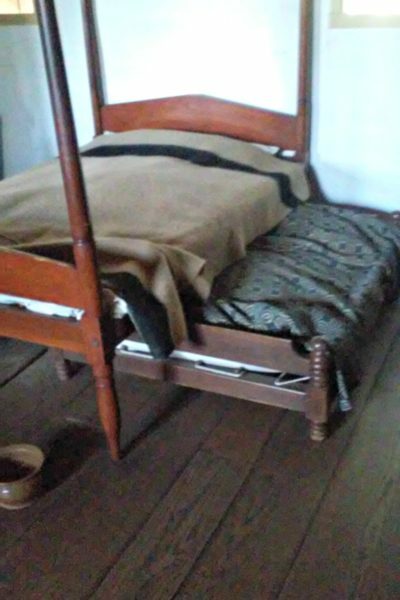 I loved looking in all of the rooms to see how people lived back then. I’ve always enjoyed seeing old houses furnished in their original state. One of the special exhibits right now is the artwork of Lilly Martin Spencer. At the time, women were supposed to stay home, right? She had 13 kids! But with her artwork, she supported the family while her husband was a stay-at-home dad! This is all just a touch of what you can see at Campus Martius Museum in Marietta. It is definitely worth the trip if you have the time! Disclosure: I received tours to these places as part of a press tour to Marietta, Ohio. All opinions are honest, my own, and may differ from yours. 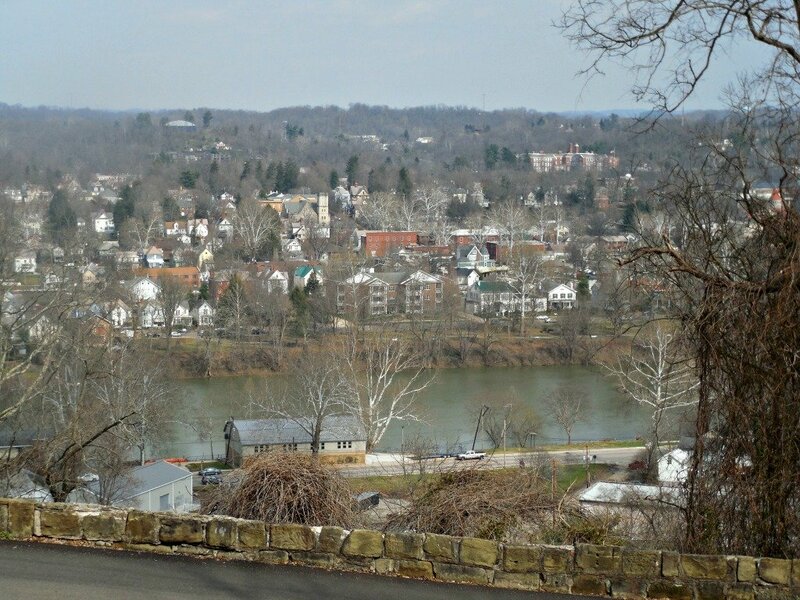 I hope you’ve been keeping up with my Marietta, Ohio posts! I had such a fun time, and I’ve been enjoying sharing more about Marietta with you all. 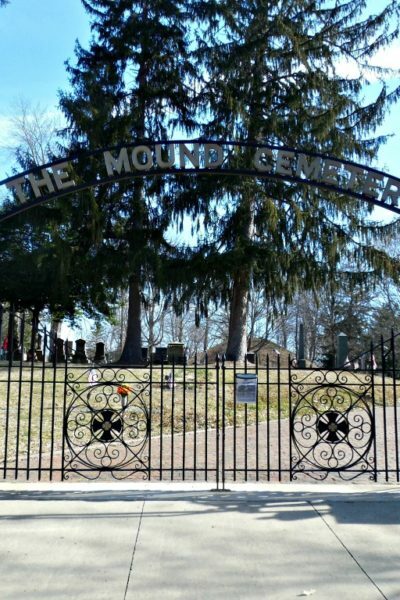 This time I’m sharing a couple of very unique places: Mound Cemetery and Peoples Mortuary Museum. 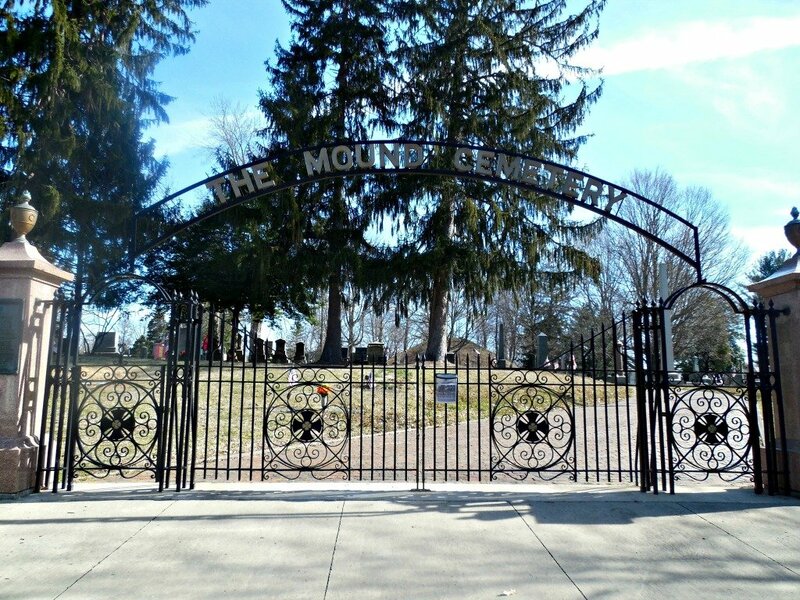 Though a cemetery is not a unique place, Mound Cemetery is quite unique in a few different ways. 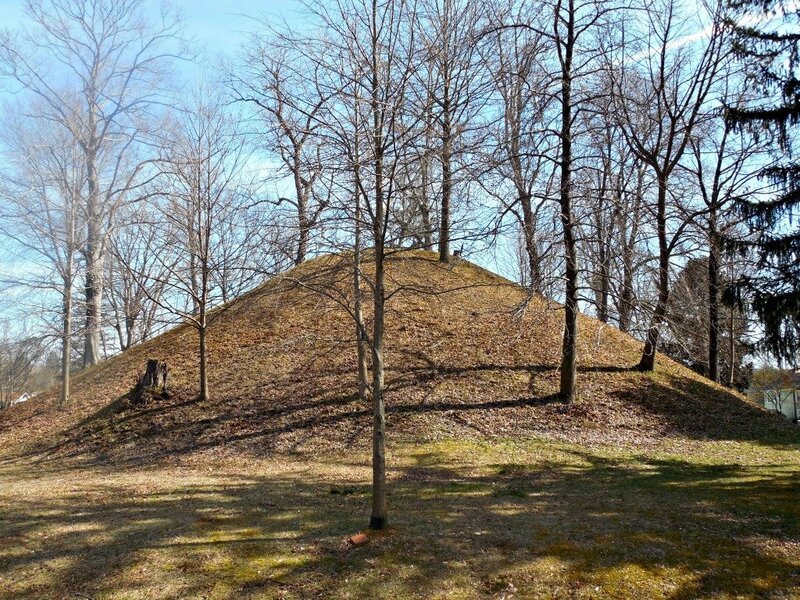 The first, and most obvious way, is this conical mound. 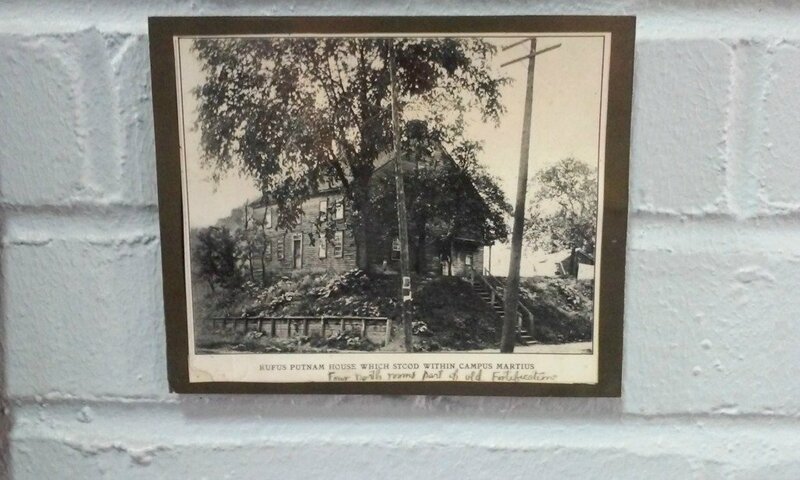 The fact that it still exists tells us a lot about the early settlers in Marietta. They didn’t level it the way that many mounds in NE Ohio were leveled, so they recognized it as having historical significance. When the settlers arrived, they actually made provisions for the preservation of the mounds in the area. This mound was partially excavated in the 1900s. I remember visiting mounds when I was in school, though I’m not sure if it was this one or not. Our tour guide said that although it was at first believed that these mounds were burial places for chiefs of a Native American tribe, this isn’t the case. That’s what I’d always believed too. Other mounds that have been excavated have been found to contain not only male bones, but also female bones and children’s bones. Perhaps these were all members of important clans in the tribe. I think mounds like these are fascinating. If you want to learn more about them, there is a great amount of information available online just by searching. 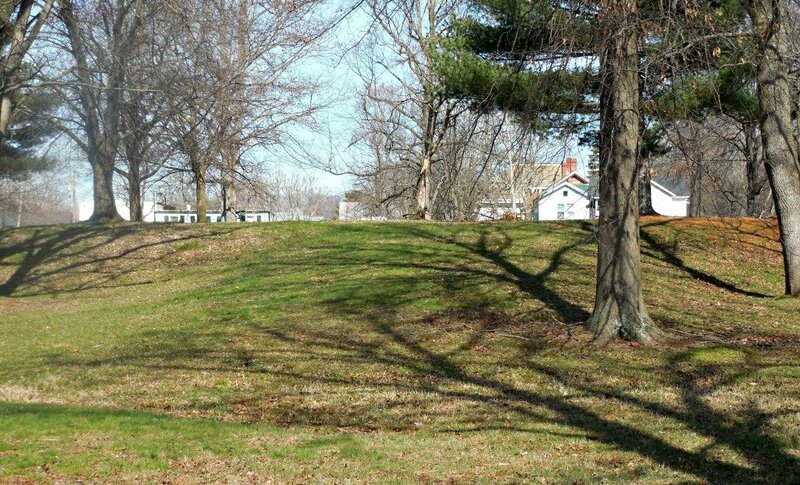 Hidden Marietta also offers an Ancient Earthworks tour of these mounds. Another fact that makes this cemetery unique is the fact that it is the location of the largest number of Revolutionary War officers buried here. 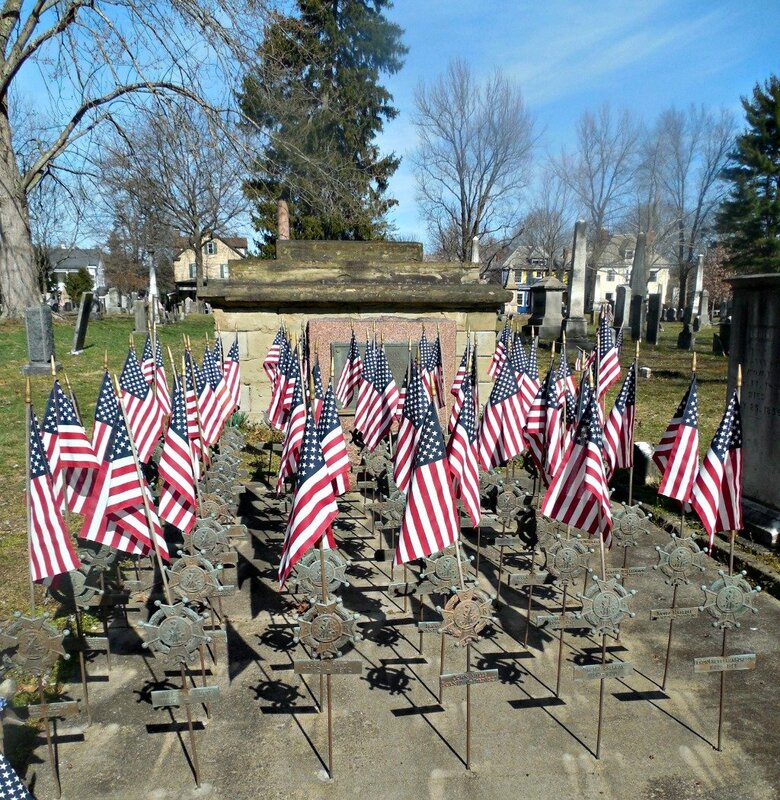 There are soldiers from almost every American war buried here. It really is a fascinating place to visit if you enjoy history and Native American culture. We visited one other mound in the area which was most likely a ceremonial mound. In fact, a path leading directly from the mound lines up exactly with the Winter Solstice. It is amazing how the Native Americans didn’t need clocks or calendars or smartphones or Google to tell them things. I’m pretty sure they were much smarter than we are now! One of the first things you will see when you walk into The Peoples Mortuary Museum is a 1927 Henney Hearse. This Henney is a movie star and starred in the 2009 movie “Get Low” with Bill Murray, Robert Duvall and Sissy Spacek. 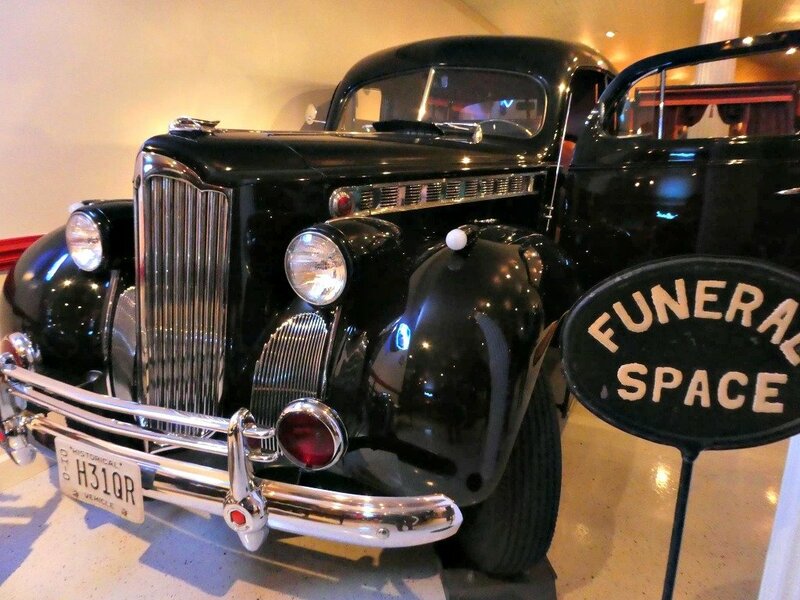 Once you get the story about “Miss Henney” you’ll see several other vehicles and other items associated with the history of mortuaries and death. 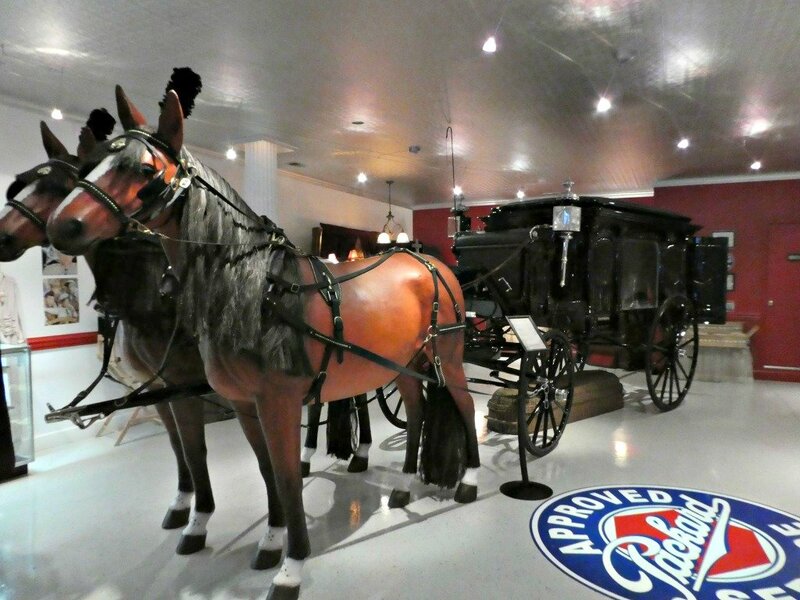 This is an 1895 Horse Drawn Hearse. 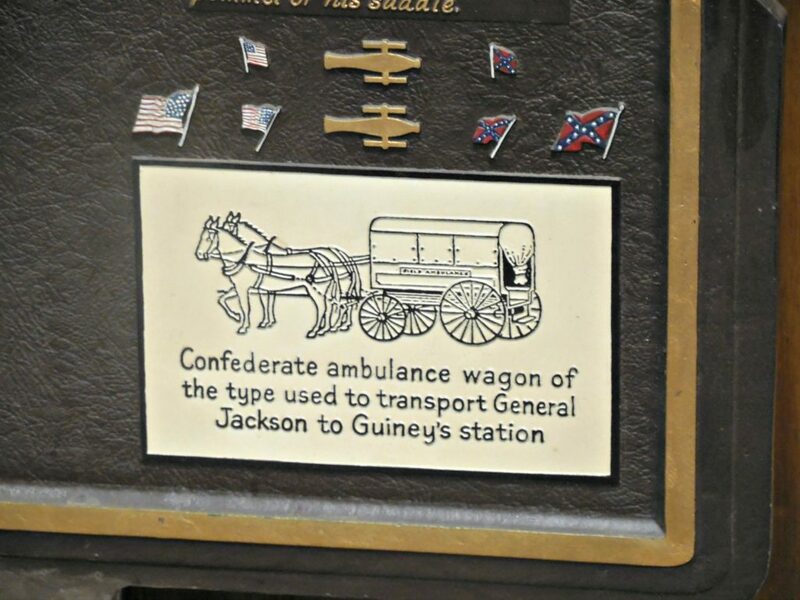 Back in those days, a hearse also served as an ambulance. The signs were just changed accordingly! The basket underneath the hearse has an interesting story. 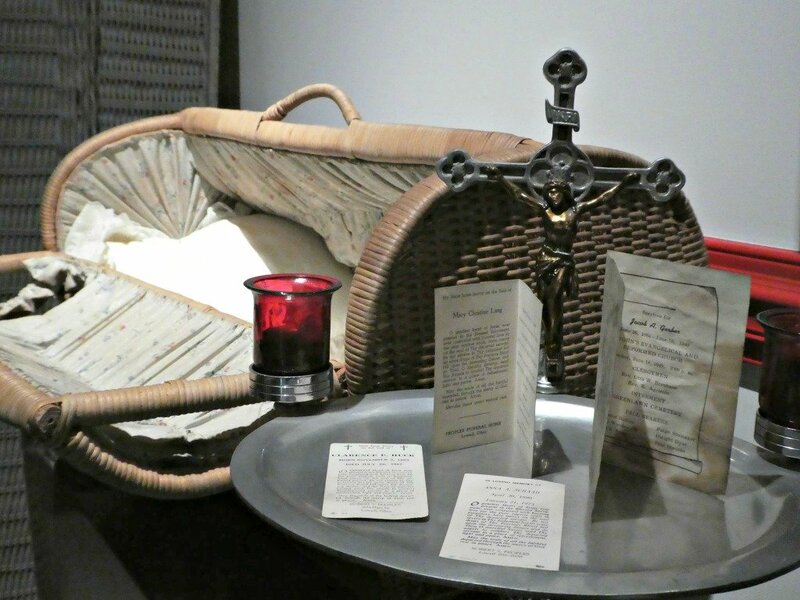 When someone died and needed to be removed from the home, they were often put in a basket like this to be carried out of the home. I say, “needed to be removed” because most of the time, the funerals were held in the home. 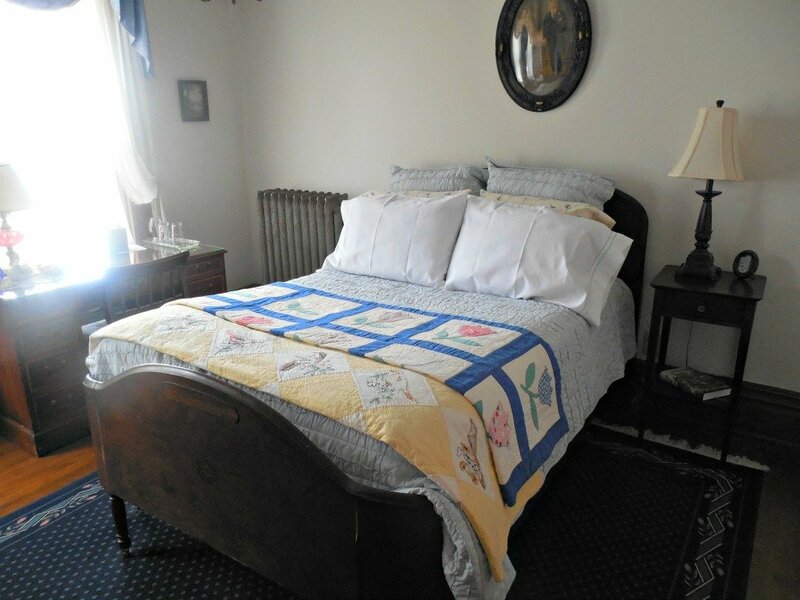 The director told us about funerals and how they were often held in the parlor of a home. 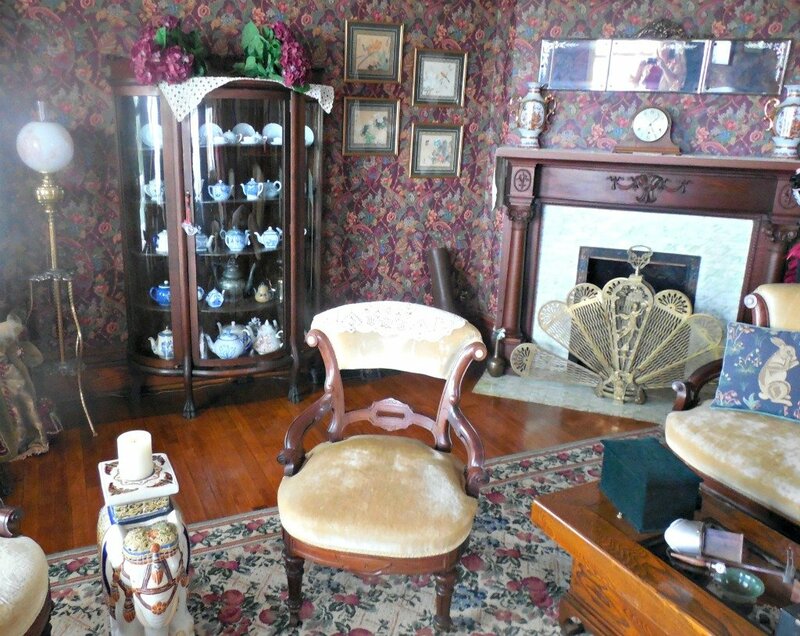 It is said that children were often scared to go into the parlor because the name was associated with death (funeral parlor), so we no longer call our “living rooms” parlors. Notice the difference. One name is associated with death and the other with living. I thought that was a pretty cool fact. This really was a very interesting tour especially for people who love history and science. You learn a lot of really cool facts too. Be sure you call ahead for a tour to be sure that someone is available to guide you. They can be reached at 740-373-1111. 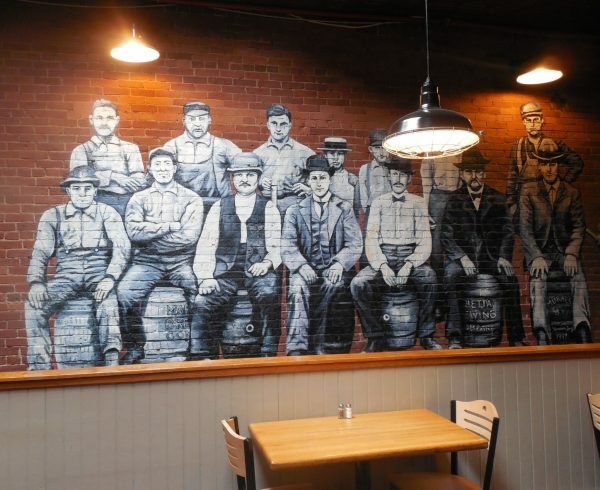 Disclosure: I received tours of these places on a press trip to Marietta, Ohio. All opinions are honest, my own, and may differ from yours. 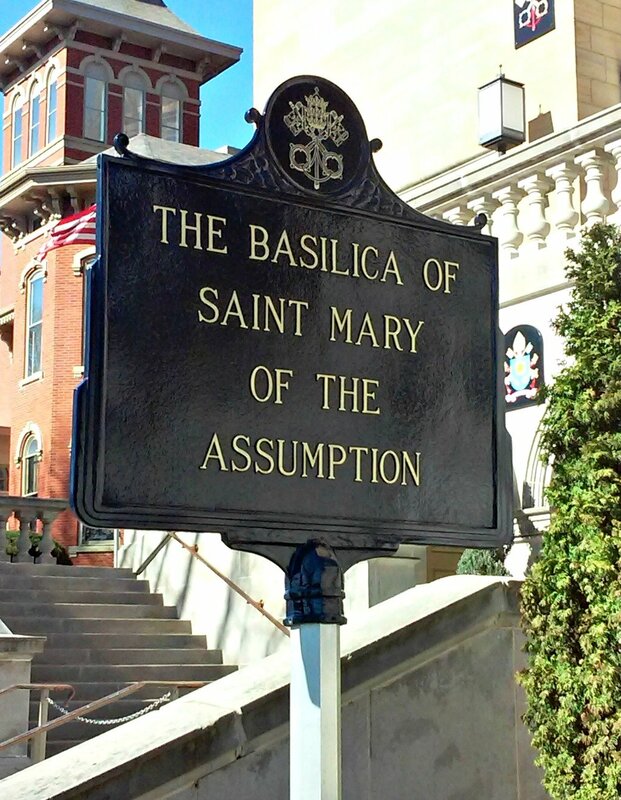 When you visit Marietta, Ohio, The Basilica of Saint Mary of the Assumption is one place you’ve got to visit. I’ve seen beautiful churches before, but this church is breathtaking. 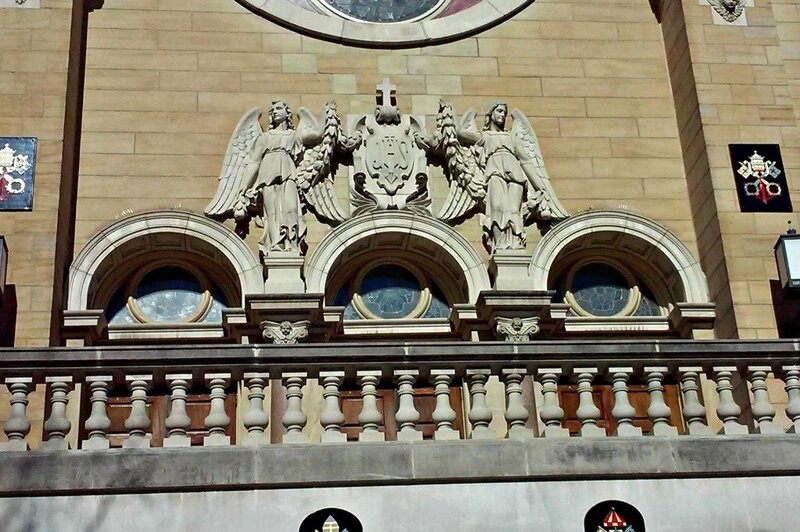 When I visited this church we learned how it became a minor basilica. 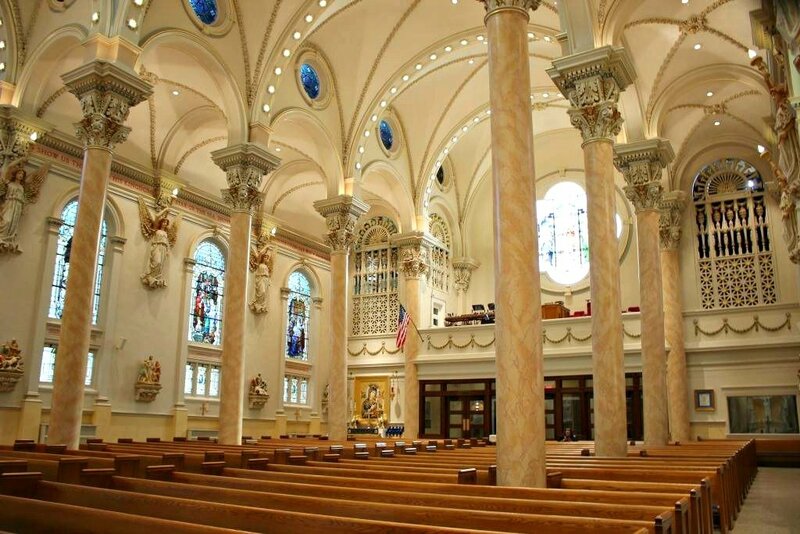 Saint Mary’s became the USA’s 76th basilica in 2013 because of its historical significance and artistic splendor. On August 16, 1749, Jesuit Father Joseph de Bonnecamp, chaplain to a French expedition from Quebec, celebrated the first Mass at the confluence of the Muskingum and Ohio Rivers where Marietta is now. And see that sign? If you read my story about Sewah Studios you’ll recognize that leathery background, so you know it was made right there in Marietta by them. When the church became a basilica, they had to incorporate certain items such as the Papal Keys, the Umbrellino and Tintinnabulum. 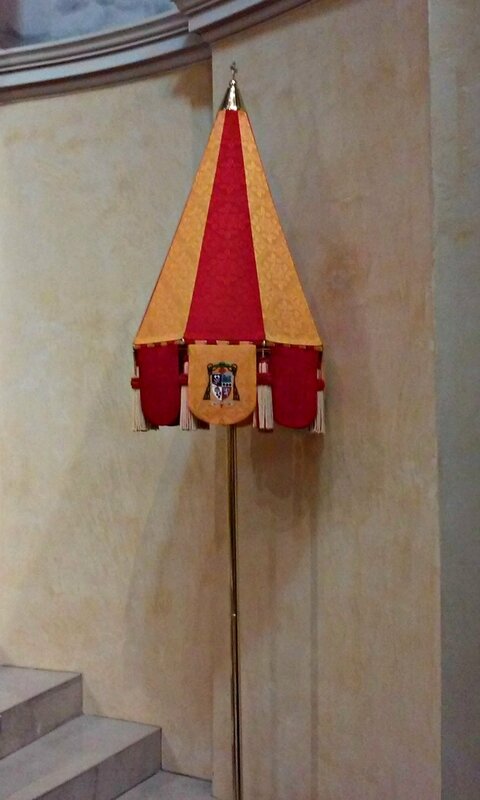 They also have the Pope’s crest displayed, and they also had to have a crest made for the basilica. 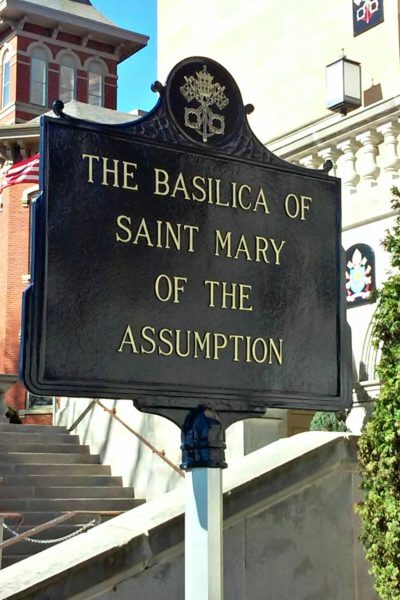 As a minor basilica, the church belongs to the Pope. 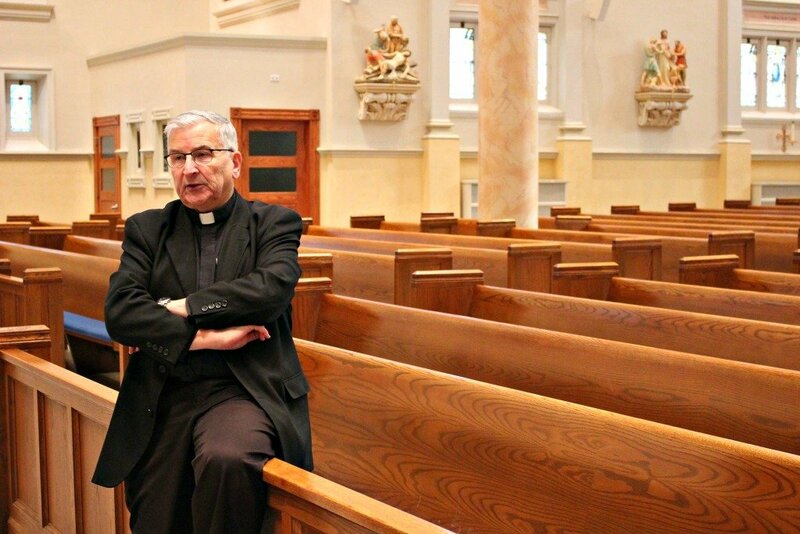 Father Mike is the current pastor and his official title is now Proto-Rector (first Rector of the Basilica). He told us some fun stories as well as some very interesting facts about the basilica. 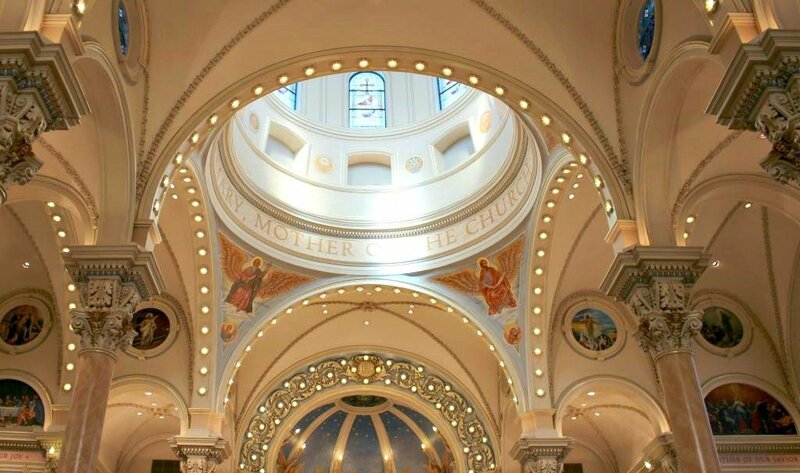 You’ve really got to see this church to get the full effect of its splendor. 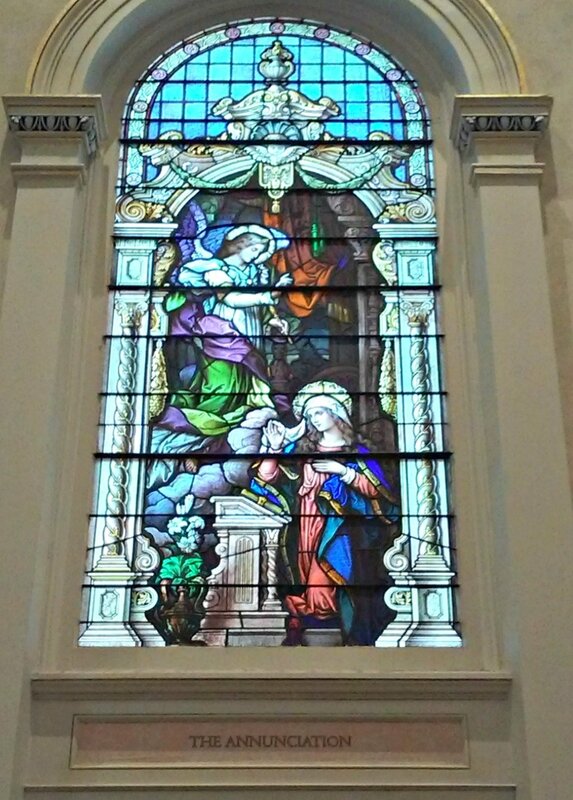 The stained glass windows and the marble are amazing. Self guided tours are available anytime between 10 and 6 as long as they don’t interfere with any masses or church activities. 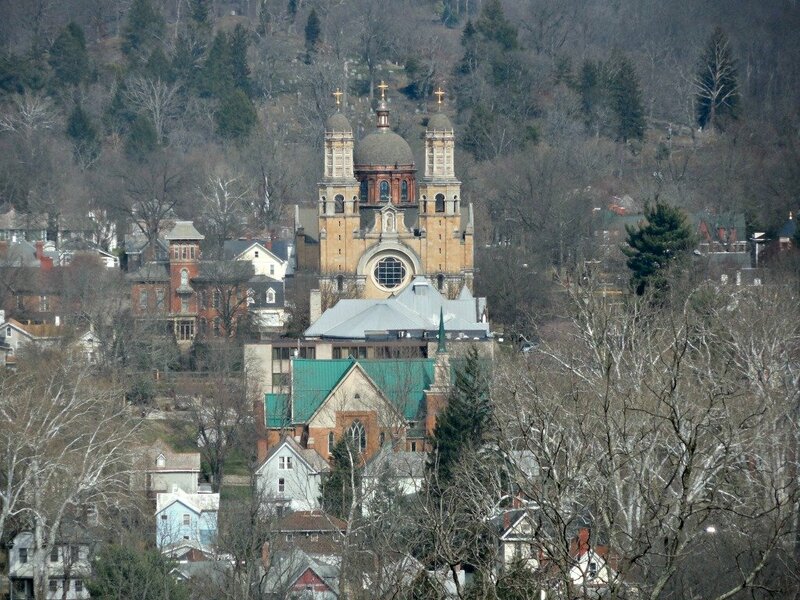 Speaking of beautiful places, another place I got to visit was The House on Harmar Hill. 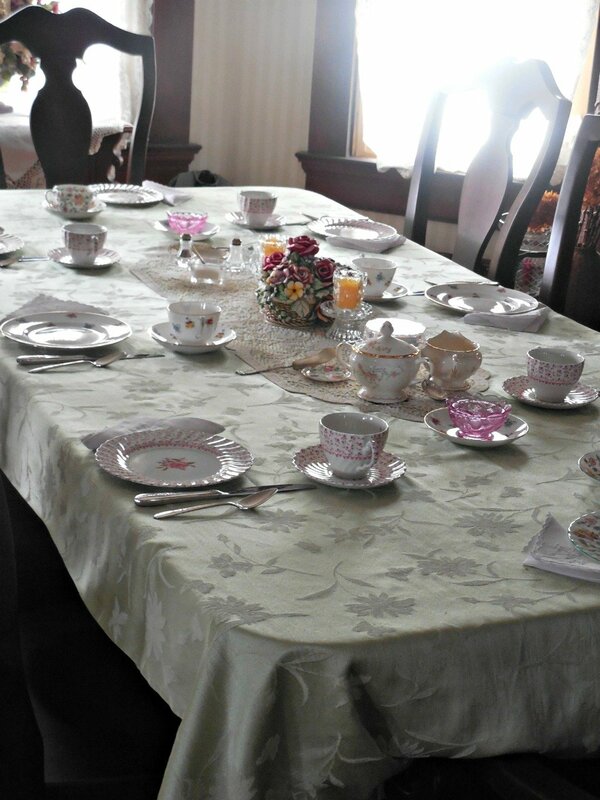 The House on Harmar Hill is a beautiful bed and breakfast where we had tea and scones while wearing Victorian attire. 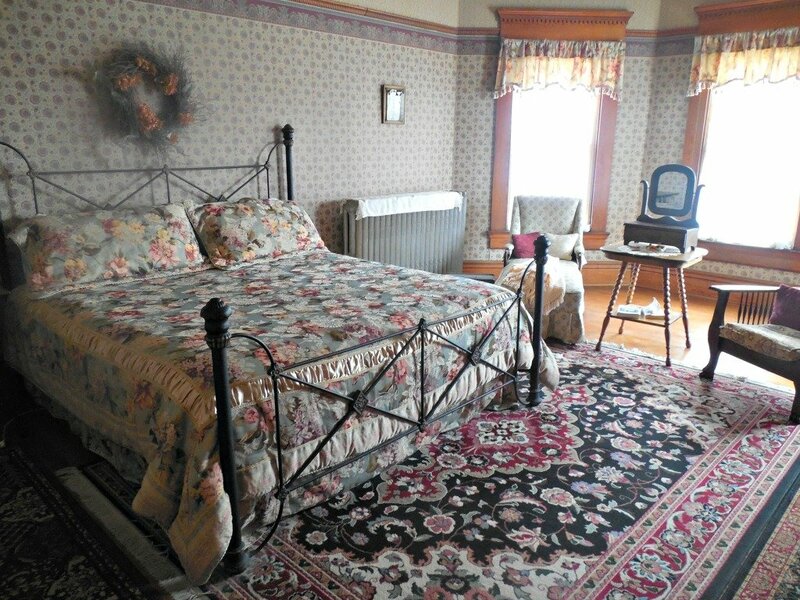 This bed and breakfast is so popular, they don’t even need a website! People find out about it through word of mouth. 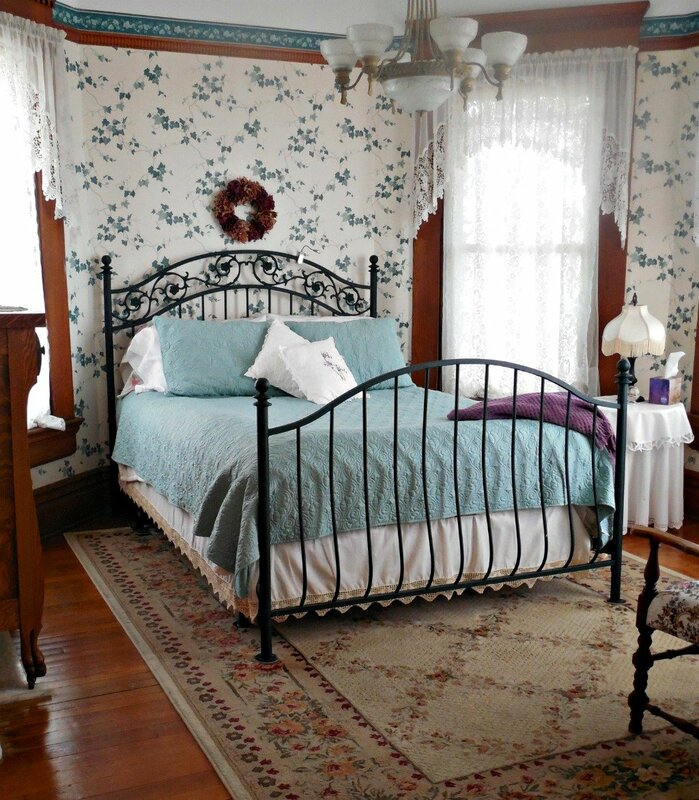 It doesn’t hurt that it’s got amazing views as well as beautiful rooms and decor. 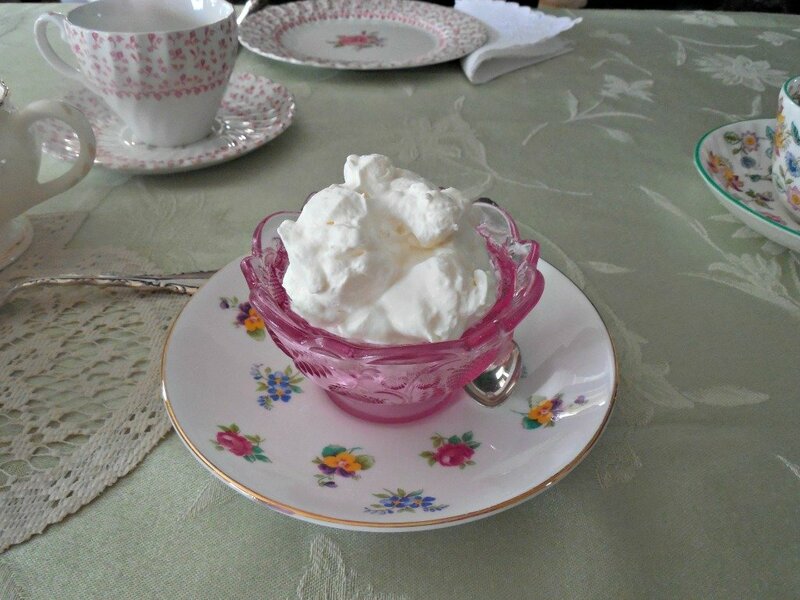 The scones were some of the best I’ve ever had, so I imagine the rest of the food must be just as great. 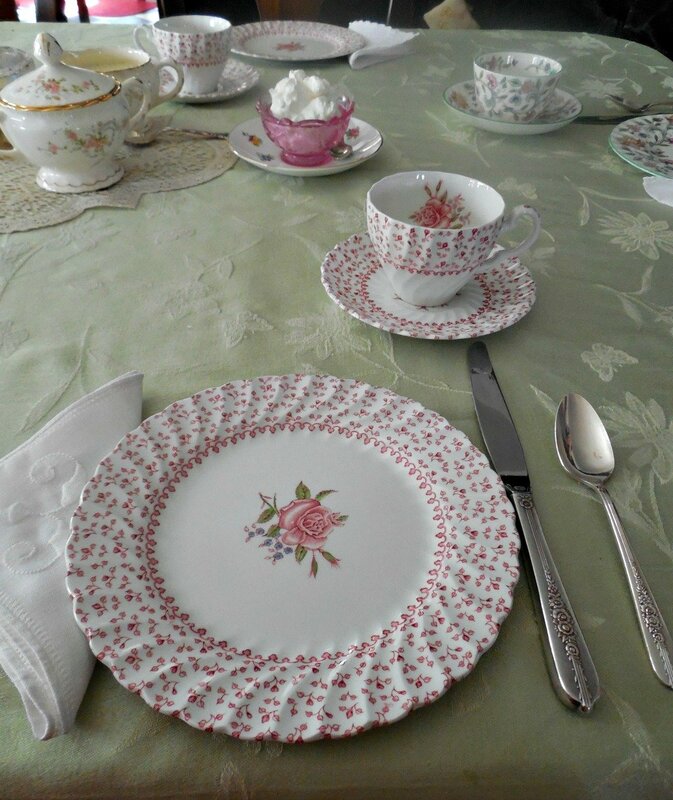 In fact, the owner holds high tea at The House on Harmar Hill, and it is very popular. I had a wonderful time looking around at all of the items the owners, Judy and Doug Grize, have collected over the years. 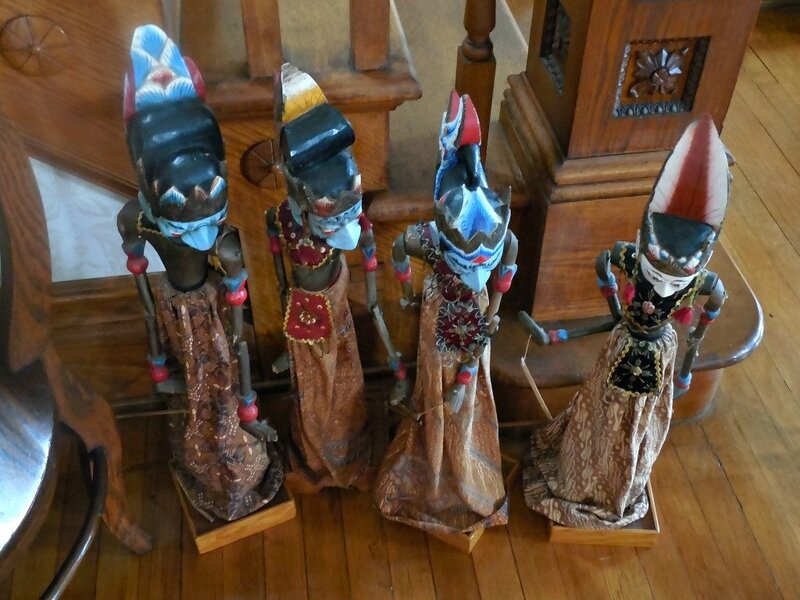 They were a military family, so they have a very eclectic and extensive collection from around the world. Have you ever heard of Sewah Studios? Probably not, but I’ll bet you’ve seen their work many times without even realizing it. 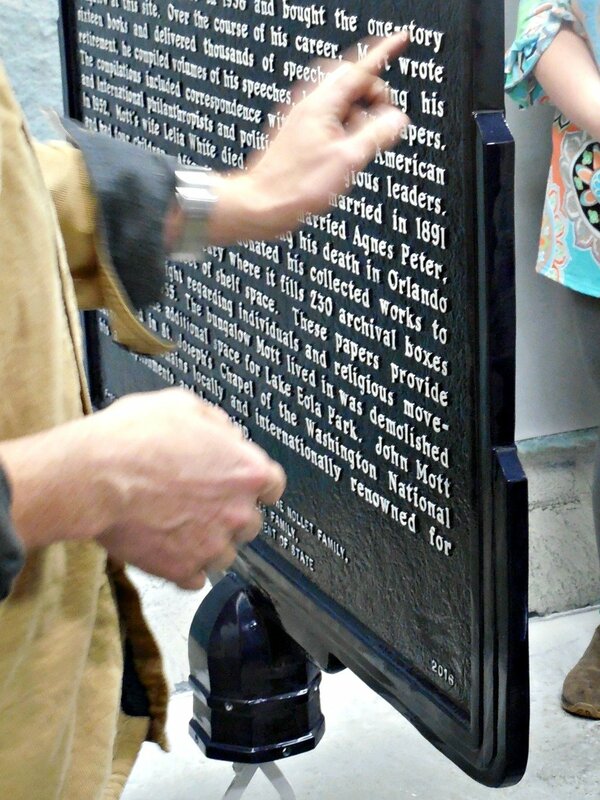 How many times have you walked past a historical marker? Maybe you stop to read it if the subject interests you, or maybe you just walk on past. I know I’ve done both. Now that I’ve seen where these historical markers are made, I’m much more likely to actually read them! 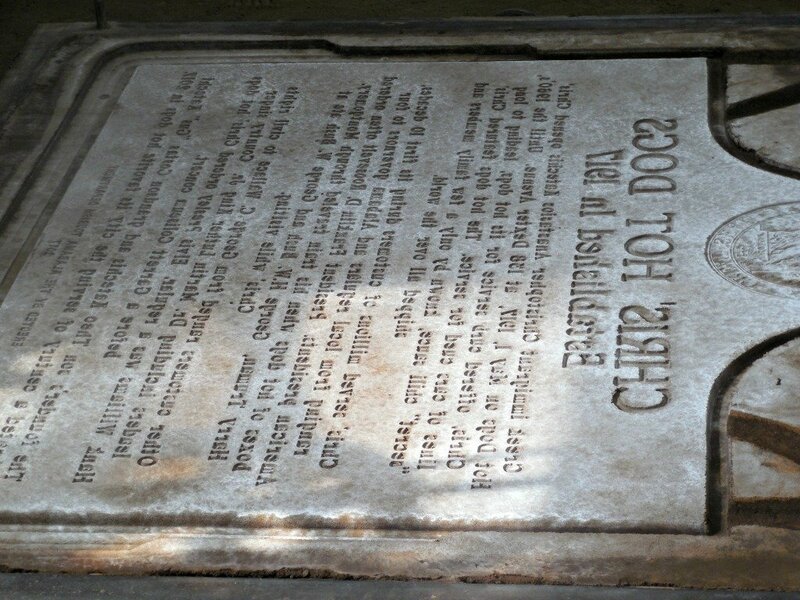 Sewah historical markers can be found in each of the fifty states and in several foreign countries. When we include our sales to local historical societies and private organizations, we ship to more than 35 different states each year. 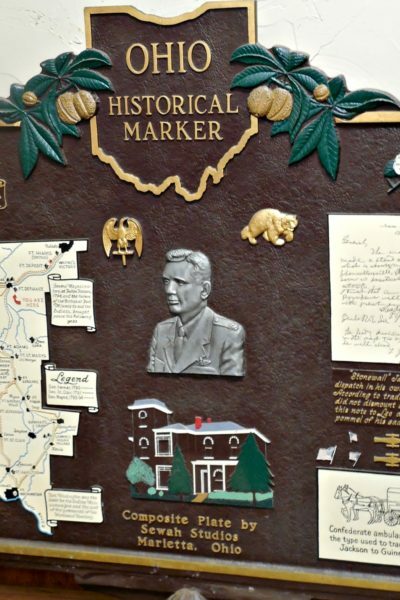 The following states purchase their official state markers from us: Alabama, Arkansas, Connecticut, Kansas, Oklahoma, Vermont, New Hampshire, Delaware, Virginia, North Carolina, South Carolina, Florida, Mississippi, Louisiana, Tennessee, West Virginia, Ohio, Kentucky, Indiana, Wisconsin, Michigan, Minnesota, South Dakota, Wyoming, Missouri and Iowa. Do you see that leather-like texture in the background of the marker? That is how you know it was made by Sewah Studios. Most of their markers don’t have the name Sewah on them, but if it’s got the leathery appearance, it’s theirs. 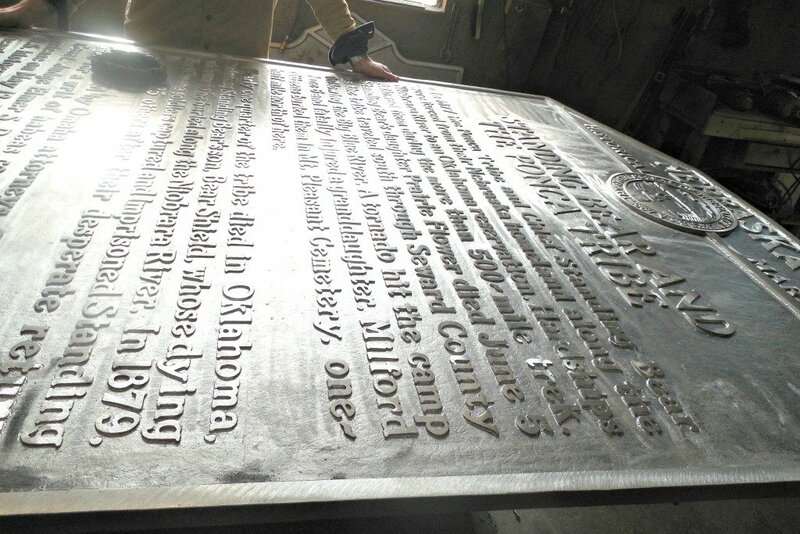 They are the only historical marker makers who know how to make this texture in their cast aluminum markers. 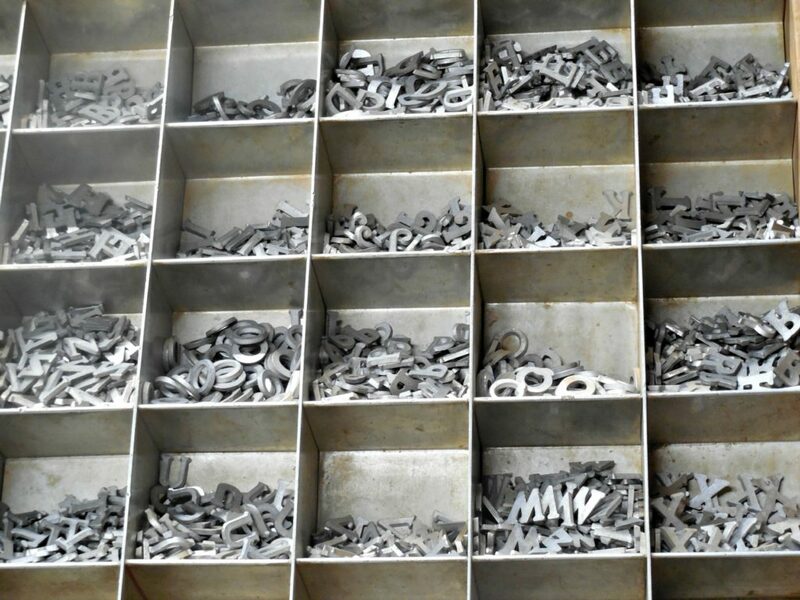 75 percent of all cast aluminum markers are made by Sewah Studios. 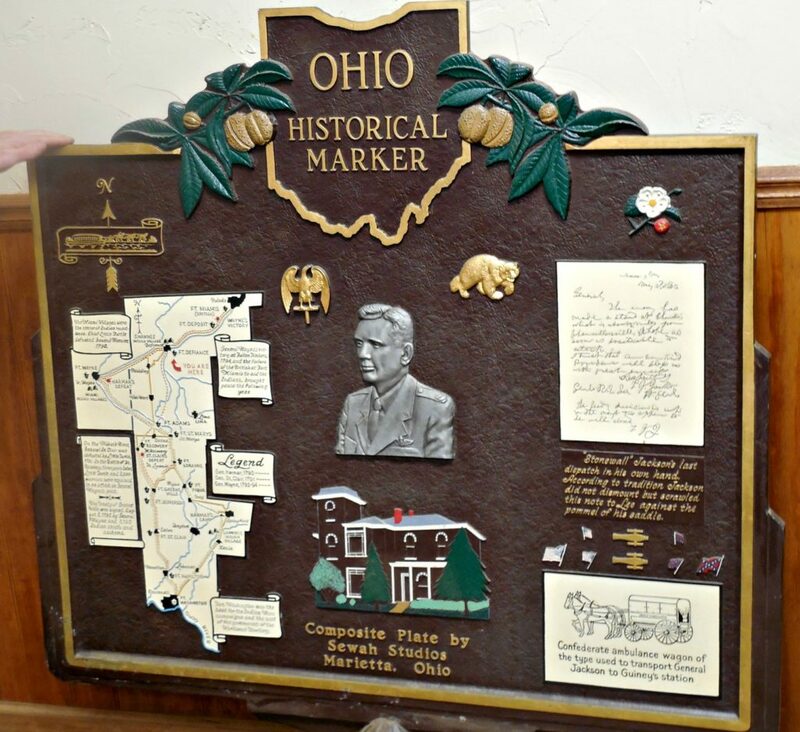 Sewah Studios Historical Markers has been around since 1927 when E. M. Hawes founded the company. 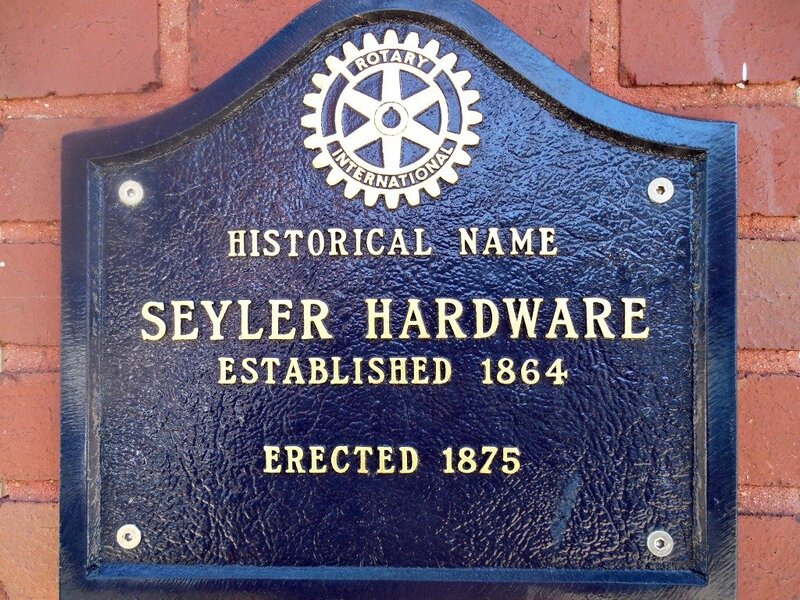 He named it after himself….Sewah is Hawes spelled backwards! 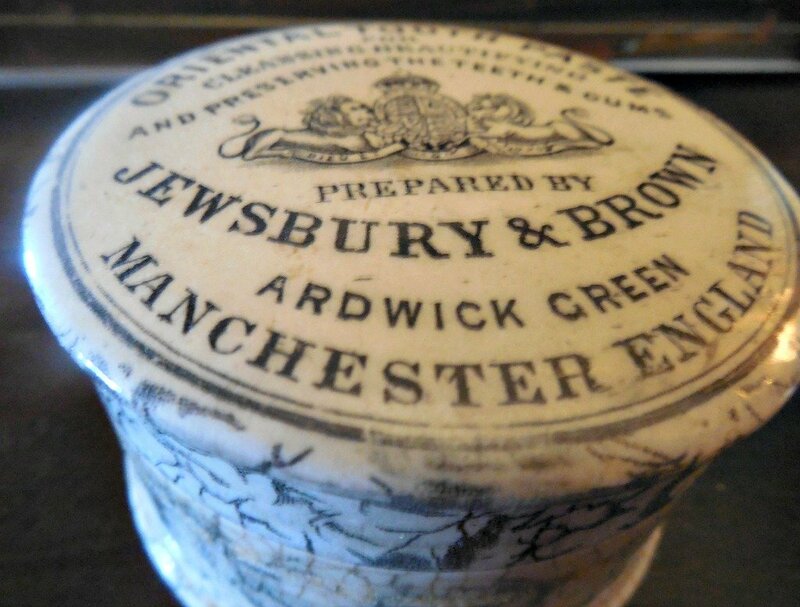 Though the company is no longer owned by the Hawes family, the name has remained the same. The current owner’s family has owned Sewah since 1954. The current owner gave us the tour, and you can tell how proud he is of his business. That pride is well-deserved because the quality of work they do is a testament to the company. The tour of Sewah Studios was fascinating. 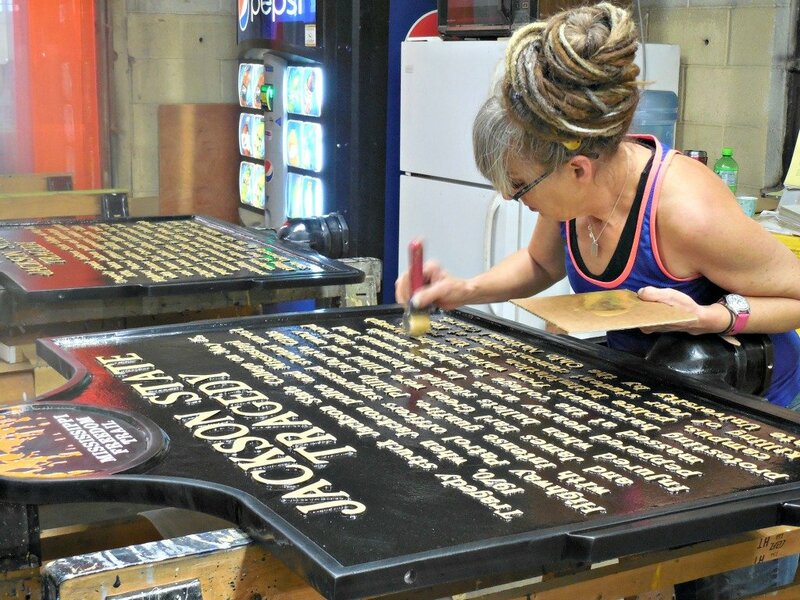 We got to see a bit of all of the steps that go into making a Sewah Historical Marker. The lettering process takes great care. There are special fonts and different sized letters from which people can choose when ordering their sign. One the lettering is done, sand is packed into a mold and a whole lot of complicated stuff happens that I can’t even begin to explain! All I know is that it was so cool to watch. They pack the sand so much that the sand is actually the mold for the marker! 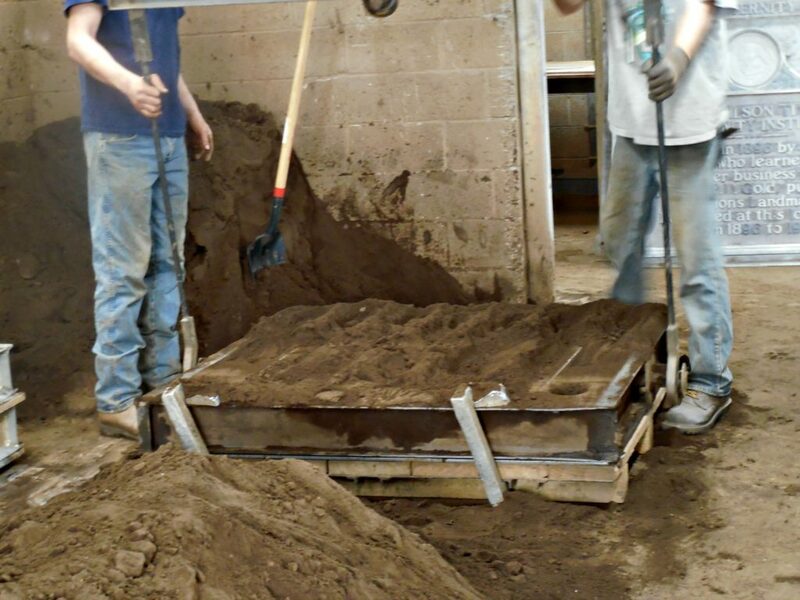 Nothing is wasted that way, and they can reuse the sand after it is cleaned again. Watching them pour the aluminum was awesome! They use an aluminum alloy since 100% aluminum would be too soft to hold its shape. 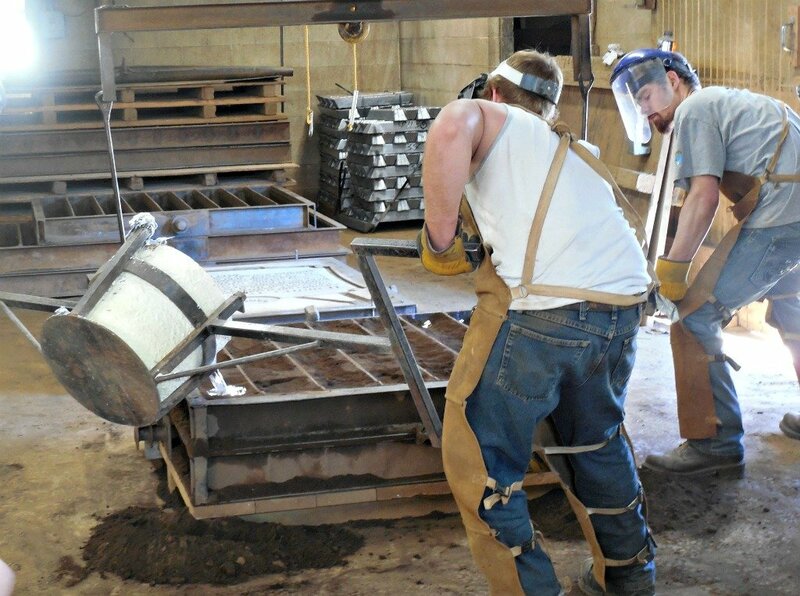 All of the aluminum that is overflow is sent to a recycling plant to purify it again. After they clean all of the sand from the marker, it is a fresh, new marker. And really hot! The owner told us about how when he was a little boy he wanted to see one of the new markers which was up on a table. He put his fingers up on the marker, and you can guess what happened! He never did that again! The marker is then cleaned up by chipping and sanding the freshly made sign until it is nice and smooth. They’re taken to a special room where they are painted. The owner explained that they’re painted in such a way where less paint is wasted. It was really great to hear how much they are doing to reduce waste and reuse as much as possible. Then the details are added by hand which takes a lot of practice! Finally the markers are shipped off to where they are going. 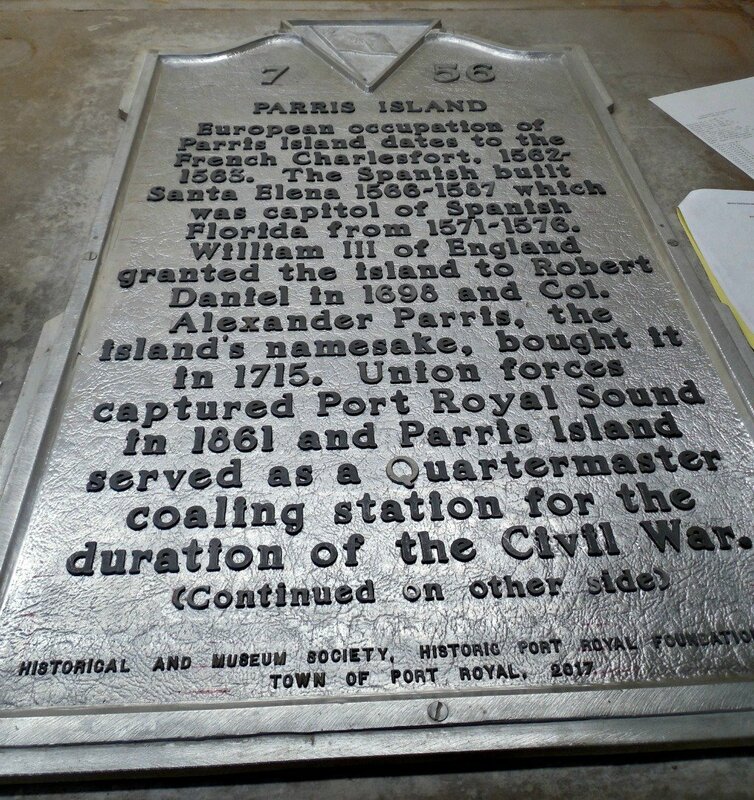 Now that you’ve learned how and where these historical markers are made, I’ll bet you’ll pay a little more attention to them! You can impress your friends too. If you see that leathery background, you know it’s from Sewah Studios. 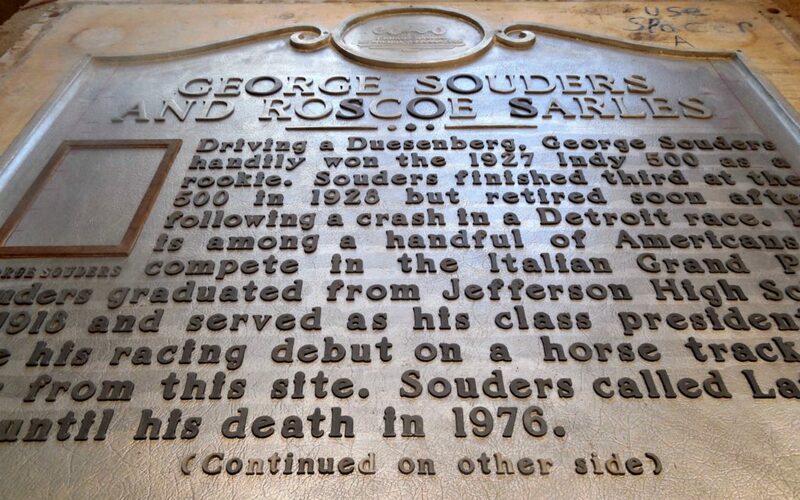 Here are a couple of Sewah Studios Markers that I found around Marietta. Today, when you look at posters, you know that they were made by the thousands (or more) using the latest technology. They’re mass produced with nothing unique about them. That is not the way it used to be, and it’s not the way that Bobby and Sara Rosenstock make them now. 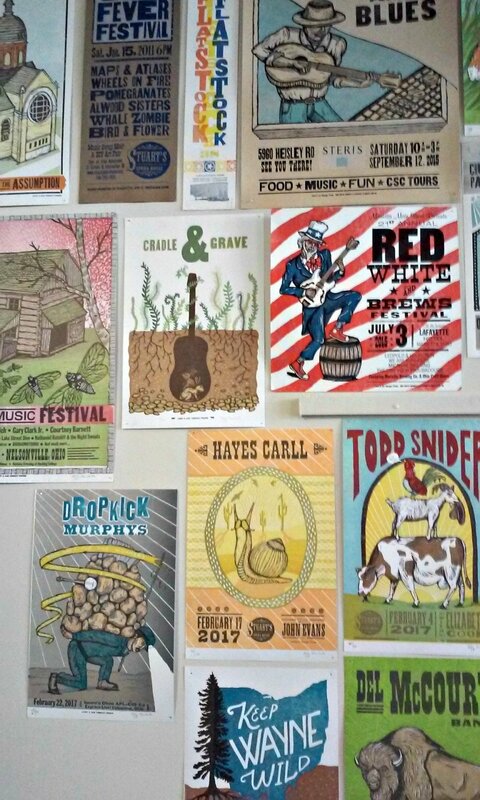 They use old technology letterpress and woodcut techniques that make all of their designs unique. You can tell by the way Bobby talks about his work that he truly loves what he does. That love shows through the amazing work justAjar produces. 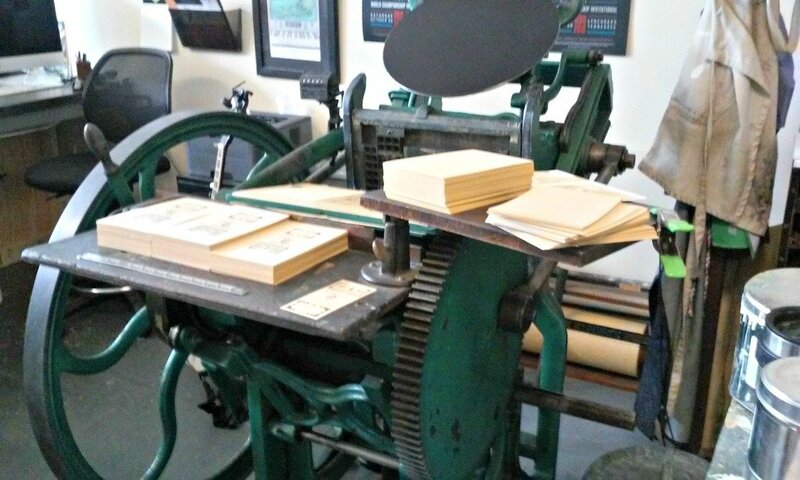 They do everything from web design and logos, to custom illustration, woodcuts and letterpress printing. 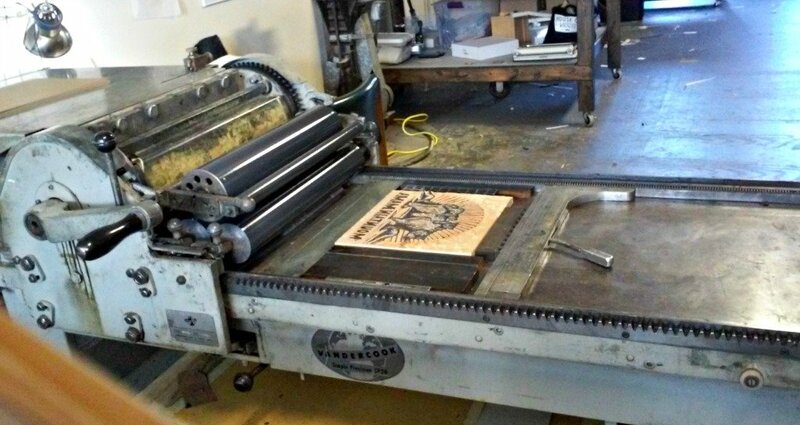 The amount of work that goes into just one woodcut is astounding. 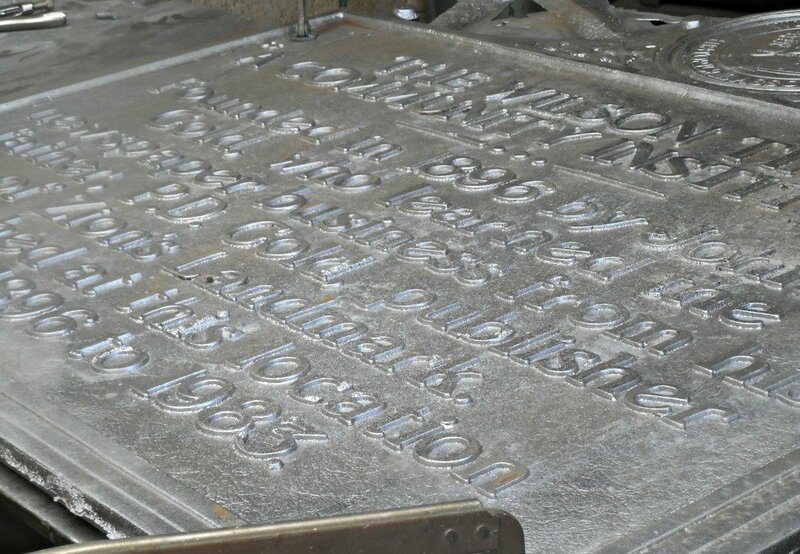 I really loved learning about the process and seeing the old machines and letters used in the designing of justAjar’s work. One of the best parts of traveling is getting to visit cool restaurants. Not having to do the dishes is a pretty good perk too. 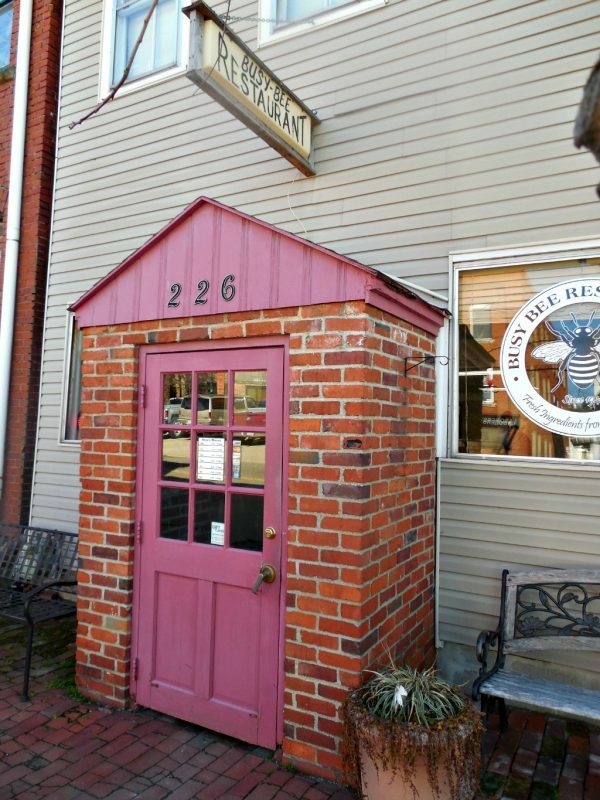 I got to eat at four great places for free in Marietta, Ohio while in town on a press trip. I know that you’ll want to visit these restaurants too! This food is great, and I wouldn’t recommend them if I didn’t love the food. 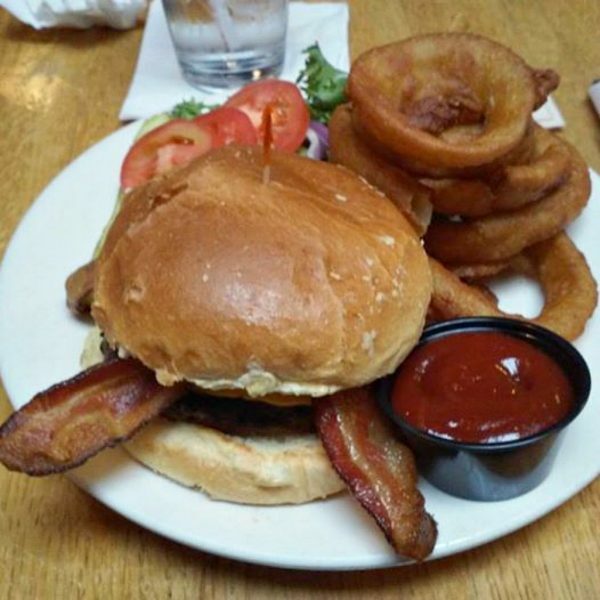 The Marietta Brewing Co. is a super cool place where you can get an amazing burger. I know they have other delicious food because everyone at our table loved what they got. I got the Bacon & Beer Cheeseburger with onion rings. Yum. And just look at that bacon! If I hadn’t gotten the burger, my second choice was the Mediterranean Stone Oven Pizza. It looked so good. Everything on the menu looked good actually, so I’m sure you won’t go wrong no matter what you order! Trust me. You don’t want to miss this place. 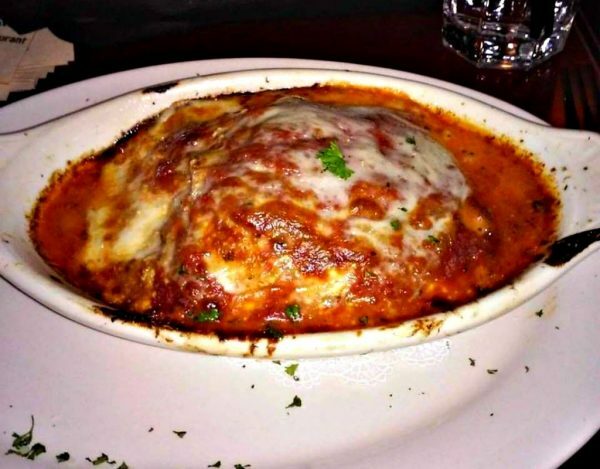 If you are a fan of Italian food, (and who isn’t) you’ve got to visit Spagna’s Italian Restaurant in Marietta, Ohio. Once again, it was really hard to choose what to order because everything looked fabulous. We tried the shrimp scampi flatbread and the chicken Alfredo flatbread for an appetizer. They were both really good. I ordered the lasagna which came with a salad. The bleu cheese dressing was homemade, and it was amazing! 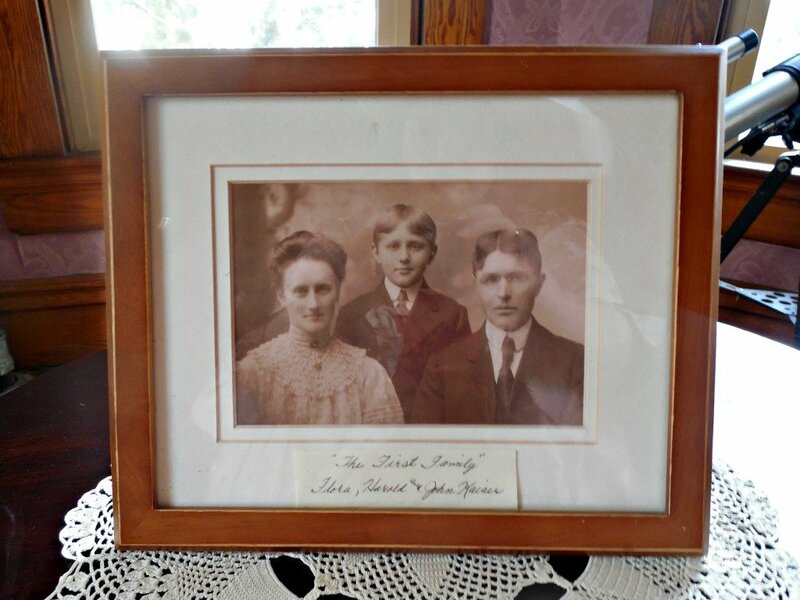 During this trip to Marietta, Ohio, I got to stay at The Lafayette Hotel, and you can read about that in my post about the hotel and Hidden Marietta. The Lafayette has a very good restaurant inside called Gun Room. 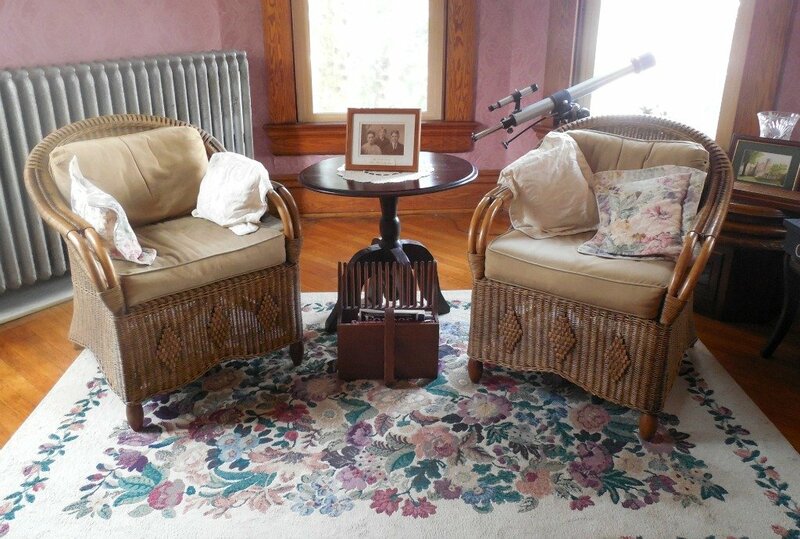 You’ll notice the collection of long rifles in this room. They date from 1795-1885. 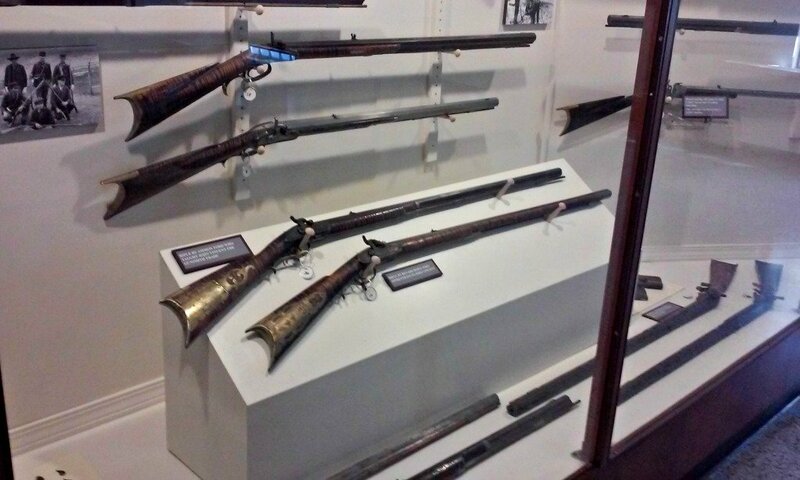 You can read a brief history of the guns while you are there. 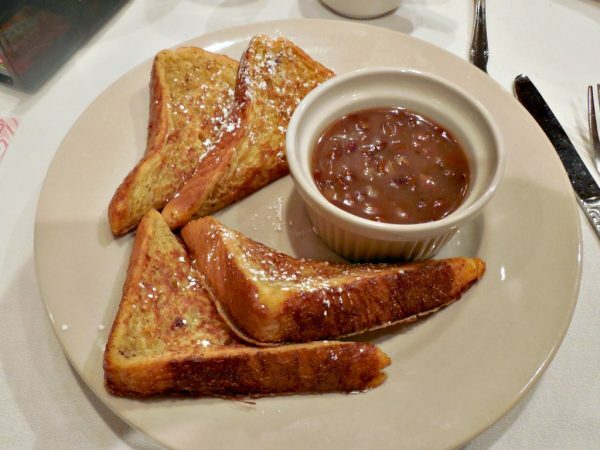 We had breakfast in the Gun Room the last day of my stay, and I ordered their french toast with pecan praline syrup and a side of bacon. It was so delicious! I need to figure out how to make that syrup. I could just drink it straight! 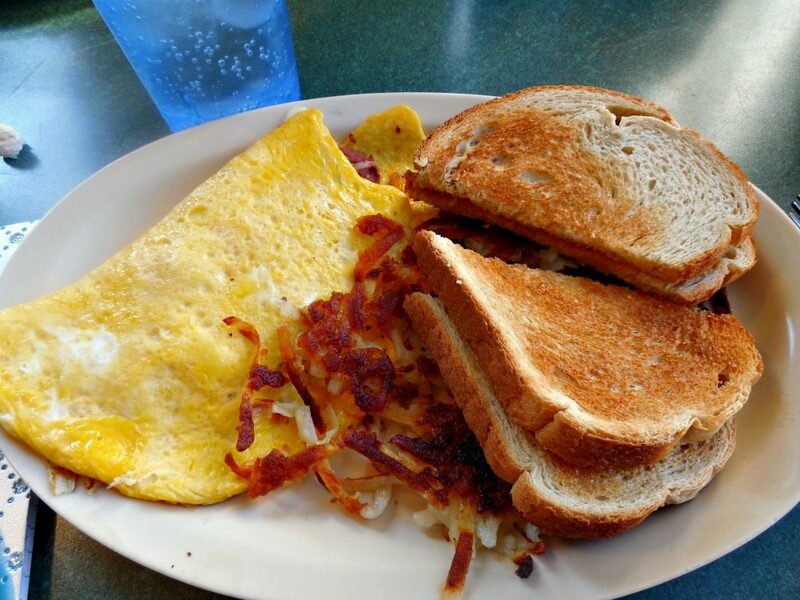 Busy Bee Restaurant first opened in 1944 as a mom and pop restaurant that was a local teen hangout, and it stayed the same for many years until 2016 when Larry Sloter bought the restaurant. Larry grew up in Marietta and graduated from college with a BA in marketing. During his college years, he worked in a restaurant. He spent six years in banking and five years as the president of a career college. When he found the Busy Bee was for sale, he knew he wanted to purchase it. When Larry purchased the restaurant, he made several physical changes to the building, but the biggest changes came with the food. Larry gradually added more locally produced food to the menu. Now almost everything on the menu is made from scratch including the corned beef and pastrami. Busy Bee uses local meat and eggs. In addition to that, they use local produce when it is in season and add specials to the menu to accommodate the local growing season. I know I want to visit from May to June when strawberries are in season for some strawberry shortcake! Larry says to expect more local foods to be added to the menu. Busy Bee was voted Reader’s Choice for Best Lunch Spot in the 2016 Marietta Times Reader’s Choice Awards. I need to go back for lunch since I only had breakfast there. But that breakfast was awesome! I love the fact that what I’m eating comes from someplace local and is made from scratch. They even make the ketchup from scratch. 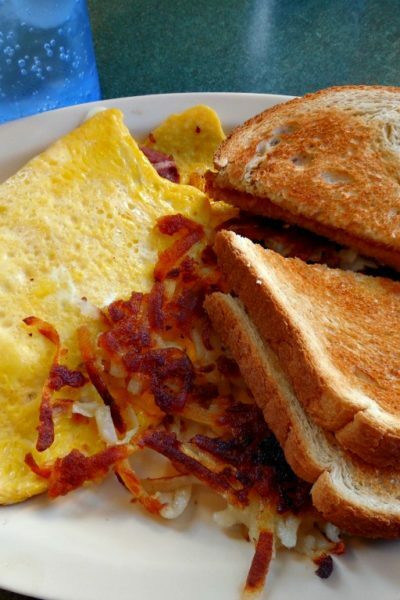 I definitely recommend that you eat either breakfast or lunch (they’re not open for dinner) at Busy Bee Restaurant when you visit Marietta.